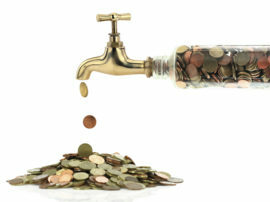 Looking for Water Saving Opportunities in Your Business? Sometimes saving water or even looking for water savings opportunities to lower overhead costs doesn’t quite hit the top of the priority list. As a money-savings opportunity and as a part of an overall sustainability initiative, now’s the time to give it some attention. Low-Flow—check out all of your restroom and breakroom faucets and make sure they are outfitted with low-flow restrictors. You would be amazed at how much water…and money this saves you! Replace your old toilets with newer, more efficient ones that can literally use half the amount of water per flush. Water-Audit—Getting a commercial water audit should be a part of your overall commercial plumbing maintenance plan. It’s a great way to understand how much water your place of business uses, where additional opportunities for savings might be found, and even if there are water leaks that need to be repaired. Landscaping—consider what your water usage will be when you are considering your business landscaping. Do you really need to have lush landscaping or can you rely on native landscapes and other less water-intensive options. Talk to your team—Every person that is a part of your organization plays a role in some way when it comes to water usage and saving water. Engage your team in ways to conserve as well as inform them on the benefits to the business as well as to the environment when they actively practice water conservation. Have more questions or need more information? Just give us a call anytime and we’ll be here to help! We also offer full-service commercial plumbing including audits and ongoing maintenance to ensure that your business is operating as efficiently as possible.